Lock in a great price for Aruba Studios – rated 8.3 by recent guests! 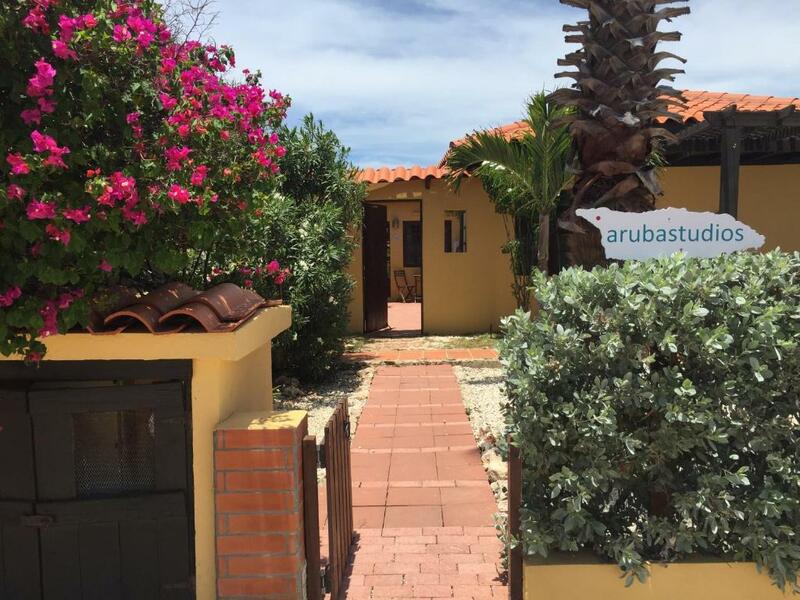 Set in Noord, Aruba Studios offers self-catering accommodations with free WiFi. The property is 2.5 mi from Palm Beach and free private parking is available. 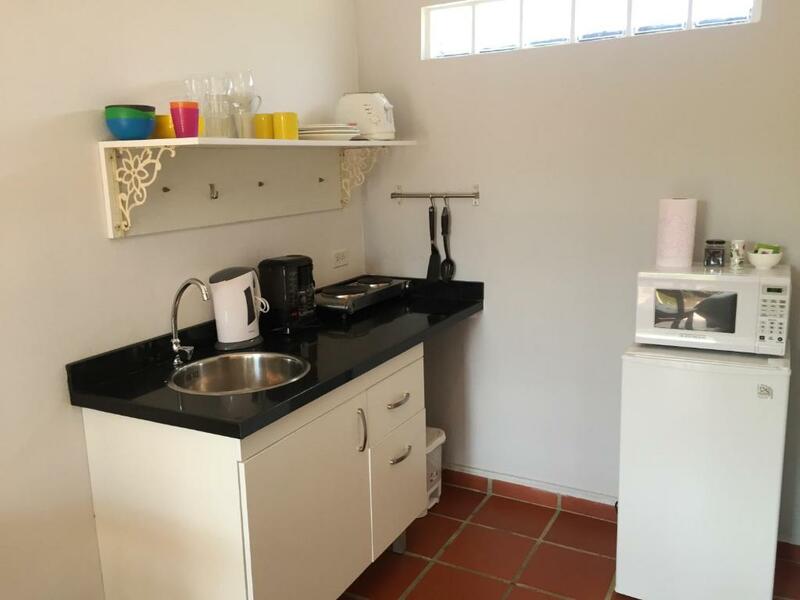 The kitchenette features a microwave, a toaster and a fridge and there is a private bathroom. 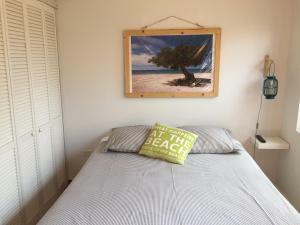 Towels and bed linen are featured in this self-catering accommodations. Other facilities at Aruba Studios include a barbecue. Bike hire is available at the property and the area is popular for golfing. 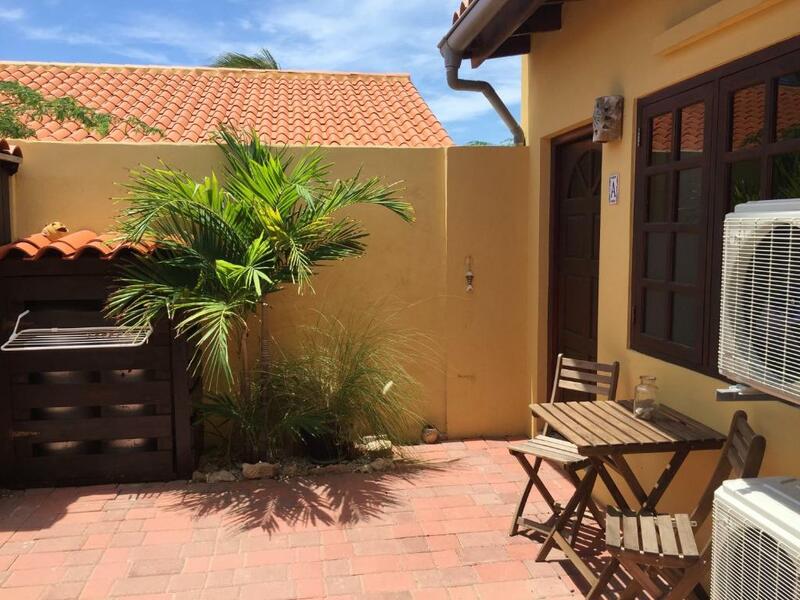 Palm Beach is 1.6 mi from Aruba Studios, while Oranjestad is 4.3 mi from the property. Guests can enjoy various activities in the surroundings, including horse riding and snorkeling. Queen Beatrix International Airport is 6.2 mi away. 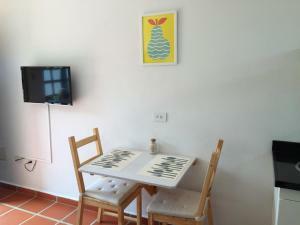 When would you like to stay at Aruba Studios? Looking for an affordable vacation on Aruba? Our Aruba Studios are located at just three minutes driving from Aruba's best beaches like Boca Catalina, Arashi Beach and Palm Beach, with many restaurants and shoppingmalls. 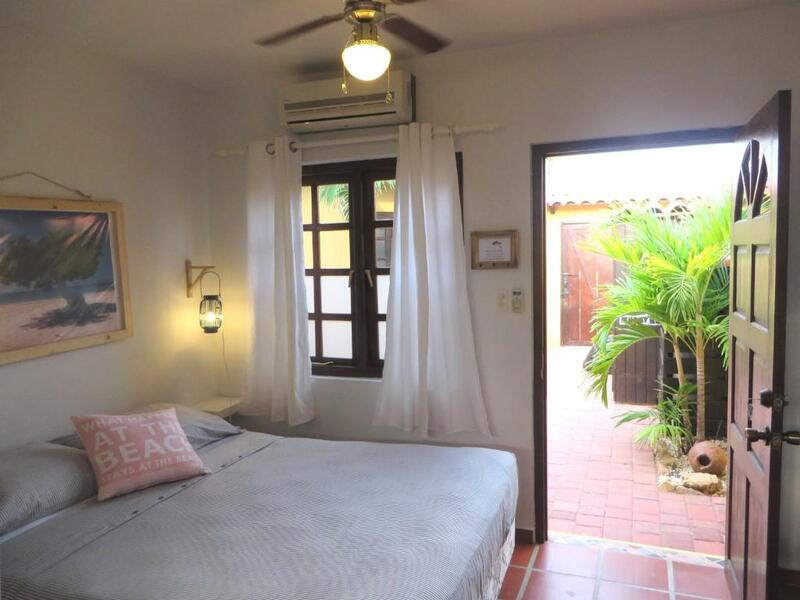 The studios are very cosy, clean and fully equipped with everything you need for a great stay in Aruba. We offer free WiFi, new air-conditionings and a shared patio area where you can read a book or have breakfast. Regular electricity- and water use is included in your stay up to 8kw electricity per day and 2m3 water per week. Upon request, we can provide you with free beach chairs, beach towels and snorkelsets. Linen and towels are changed once a week (free of charge) and there is free parking at the entrance of the studios. We are Jorge and Stella, owners of Aruba Studios, and we would like to welcome you to stay with us on the One Happy Island of Aruba! We have been living on Aruba for over 11 years and love to help you with tips about that unknown restaurant at the ocean or an affordable carrental company. 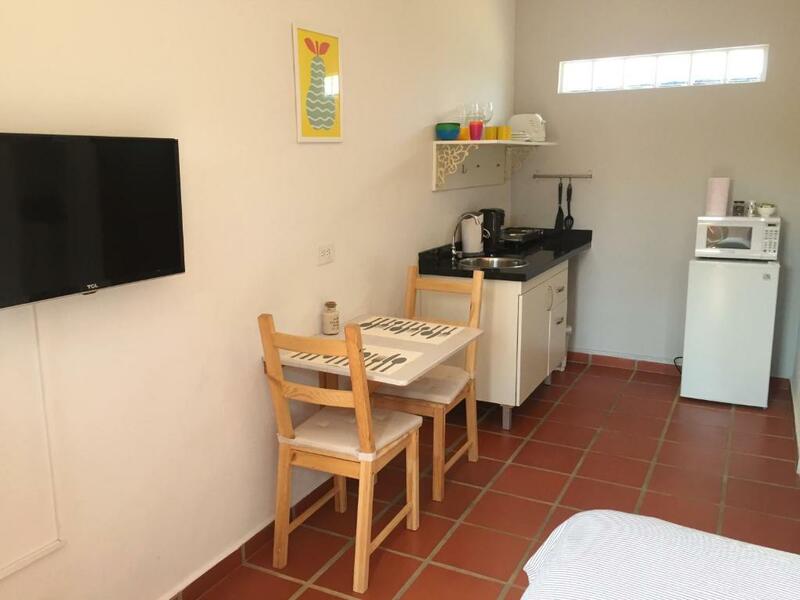 Upon arrival, our property manager Darwin will welcome you with your roomkey and explain you all the ins and outs of your studio and the island Aruba. He can help you with all questions you might have and assist you with the booking of excursions. We love to give you that holiday feeling! 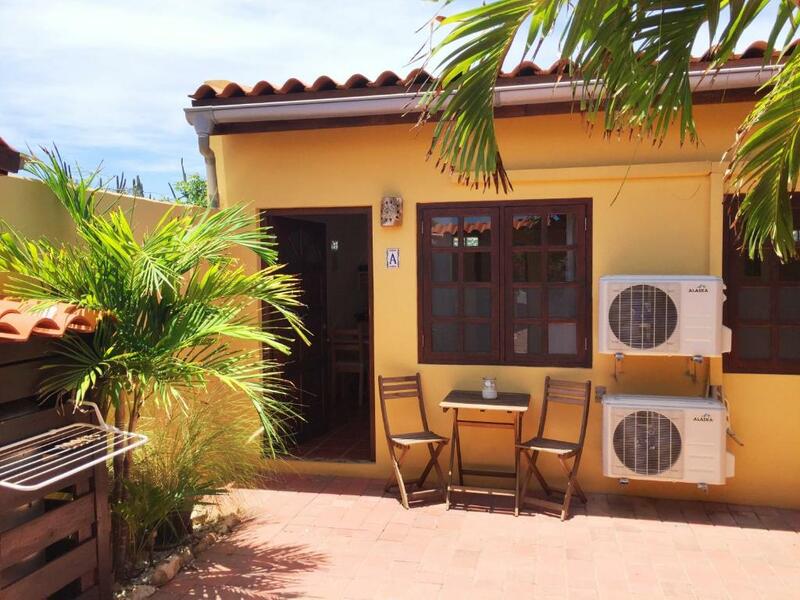 Our Aruba Studios are located at Tibushi, a quiet family residence at Noord (Westpunt) situated in the north of Aruba. Aruba's best beaches, the famous Tierra del Sol Golf Course, restaurants and shopping malls are within a 5-minute drive from our studios. The street is very child friendly and the property is fully fenced. House Rules Aruba Studios takes special requests – add in the next step! Aruba Studios accepts these cards and reserves the right to temporarily hold an amount prior to arrival. Please inform Aruba Studios of your expected arrival time in advance. You can use the Special Requests box when booking, or contact the property directly using the contact details in your confirmation.